Capitalist, Pride Of Dubai, Shooting To Win, Miracles Of Life … and Dothraki? Doesn’t quite sound right, does it? But maybe it’s a reflection of how underrated the latter actually is. Since Peter and Paul Snowden began their training partnership more than two years ago, only the four aforementioned horses – three now a licence to print money at stud and the other who will one day supersede them all – have topped Dothraki in stakes earnings. He might not have a Group 1 yet, but the BTC Cup is a race Dothraki should not be discounted in. But somehow bookmakers still seem to be shying away. Returning to the scene of Triple Crown’s momentous day last year when Hot Snitzel won the first major of the Queensland winter carnival, Dothraki looks the pick of the Snowden pair. 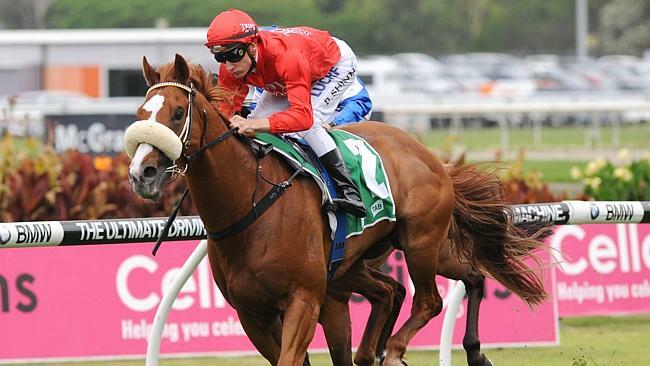 Launching from barrier one around a traditionally on-pace friendly Doomben, expect Blake Shinn (the Snowdens’ most profitable jockey) to be positive from the inside alley and give Dothraki every chance to snap his duck in majors. Certainly, at the $13, given super efforts in the TJ Smith Stakes behind Chautauqua and The Galaxy trailing Griante, he is well worth an each-way play. Fell Swoop? He has followed an identical program to Dothraki – bar heading to Queensland early for a Victory Stakes kill – and will be deep into his campaign with a fifth run. How much is left in the tank? At the price and from the gate there is value to be found around him. While the group 1 spotlight may shine bright on Doomben and Morphettville, to a lesser extent, Scone’s two-day carnival should be a treat on Friday and Saturday. Rough results have been plenty in recent years – particularly on the undercard where local trainers arrow in on restricted races months out – and open betting markets make it another mouth-watering struggle with bagmen. Kris Lees’ Brook Road has had her hoof on the till this campaign, catching the eye in an on-pace dominated Sapphire Stakes during The Championships. Dropping back in distance looms as a slight query, but is countered by the fact she has always run her best races on the fresh side. The $8.50 appeals. The local hero? Clearly Innocent is like the footy star who climbed out of his sick bed on grand final eve and defied the odds, a la his runaway win in the $400,000 Country Championships final. Only the post-season party has been replaced with an end-of-season game. Provided he hasn’t been jaded by his runs earlier in the campaign the $3.90 looks the play in the Luskin Star Stakes, won so handsomely by local hero Artlee last term.